Last night launched off a season of a show I did not expect to find myself so quickly consumed by. I am in no means (except for the occasional comedies, that will remain nameless) a TV-show-kind-of -person. As much of a movie-buff as I am, I’m known for easily leaving a show half-way through because little in TV ever excites me. 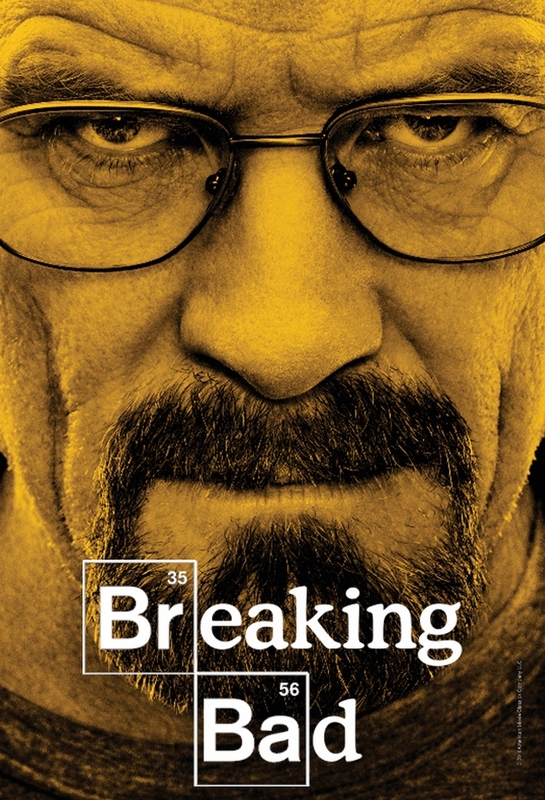 Until a little bird told me something about this “insanely good show” Breaking Bad. After about a month and a free Netflix trail, getting reeled into this ridiculous roller-coaster ride, I found myself filled with glee at the premiere of the two last installments of Breaking Bad. Though the show is known for little good, I found some reflection, or rather deflection of light that we can take from the life of Walter White. By the thirds season Walt knows he cannot produce the high-demanded product on his own. So when Walt refuses to work with anyone but Jesse, it’s probably one of the smartest decisions he makes. (Note I said smartest, not wise. There’s a difference. At this point Walt has loss any sense of what is wise, so that topic is out the window.) But it goes without saying, the moment Walt tells Gus he’d have to kill him if he’s gonna kill Jesse, a new bond is formed between the two. And while Walt still lacks the social graces and all humane instincts dry up from his bones to play go-carts with Jesse just once, he knows Jesse is the only one he can count on to make an excellent product with. You know you have a good thing going when you’d rather die than be without that persons support. There are endless husband/father lessons that can be learned from Walter White, as in what not to do. Like maybe keep your wife in the know, because she just may have the same level of smarts or more than you do, at least socially. The moment things get shady enough for his wife to get a whiff of anything, Walt begins waking up early in the morning to make a breakfast fit for a queen, clearly in attempt to distract his pregnant wife. Now, I’m not saying guys can’t have the pure goodness in them to do this on a regular basis. I do have a few married friends who tell me their husbands do all the cooking and even wake up earlier with breakfast, coffee ready and work lunches ready to go. (Where do you find these guys? Clearly not in America.) Before Walt began cooking up his blue stuff, he was rather unmotivated, and lack-luster as a husband and father. But when things get shady, breakfast is hot and ready every morning (for a short season, at least.) So if you’re husband is all the sudden, highly motivated to be cooking in the kitchen for you, you may want to see what else he has cooking up. Or, just stay seated and finish up those pancakes, because they’ll only be hot for so long. As much of a bad boy that Jesse is and continues to be, when a guy tears up because he has to inflict pain on another, you know his soul is still intact - somewhat. Even by season 4, when Jesse and Walt aren’t cooking as much, leaving Jesse with more time on his hands to burn money in his pockets, he continues to seek camaraderie with Walt and asks to go play go-carts, but Walt seems to have better things to do…all the time. If only Walt might spend some time goofing off playing go-carts with Jesse or invest in the relationship outside of the lab, it might feed the parts of Jesse’s soul that are dying off and in turn help Walt maintain his senses. Initially I was told I wouldn’t like Skyler (Walt’s wife) for various reasons. For the sake of my point, let’s just say we blame Ted. (Ok, not completely. Poor guy.) While Skyler isn’t all-together the perfect wife, her husband certainly doesn’t deserve any reward. At this point of the disastrous mess Walt’s brought to the family into, all in an effort to “do what’s best” for them, I’d say a sorry was in order for Skyler. Last night’s closing scene was both infuriating and shocking as to just how “bad” Walt has become. Loosing all sense of direction, as much as we all are thrilled for him through what he’s conquered by the end of season 4, Walt seems to have steeped to a new level of badness, when his conscious thinks he deserves an apology. This is a good one for you guys with any hopes to get married and keep the women: Say your sorry already! It’s a clear picture of how good some men are at lying to themselves, just to inflate their ego when no one else is around to do so. And if they’re not praising you may want to reconsider your past actions. If you’ve wronged your woman, family or friends, no matter how nobel your intentions may be, own up to it. Don’t ever become to so low to the earth that you think you deserve an apology. There it is for now. I’m almost certain the next 15 episodes will have plenty for us to chew on as well.